Indian automaker Maruti Suzuki is making a significant push this time by launching hybrid cars one after the other. We have earlier reported that Maruti Ciaz Hybrid would be launched during the month of September which is soon going to be followed by Maruti Ertiga Hybrid. Now the news is Maruti Suzuki is planning to bring the company’s best seller – Maruti Swift Dzire in the hybrid version. This hybrid line of cars from Maruti Suzuki would also help in reducing CO2 emission and improves the fuel efficiency on more of its cars. Maruti Suzuki Dzire Hybrid is also expected to launch in AMT transmission to further improve the efficiency and driving comfort. 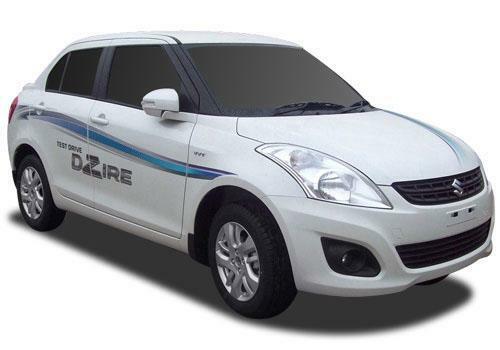 Maruti Dzire Hybrid is expected to be launched in the current financial year 2015. As we know, the existing Maruti Swift and Maruti DZire is powered by the Fiat sourced 1.3-litre MJD which is inturn called as DDiS by Maruti Suzuki. The engine used in this car is same as that of one which powers Ertiga, Ciaz and Ritz diesel versions. The company has also sourced the 1.6 litre Multijet diesel engine imported from Fiat Italy for its recently launched Maruti S-Cross. There are also no plans to launch 1.6 litre MJD engine on any current models. Maruti Suzuki is expected to launch these technologies during next year’s Auto Expo, while the launch on the production models is expected in the coming few months. From decades of experience in India, the company knows the entire car market is driven by fuel-efficient models. Launch of Hybrid models mean Maruti Suzuki continues to retain the top spot in India. You could expect a fuel efficiency of close to 30kmpl from these Hybrid cars from Maruti.